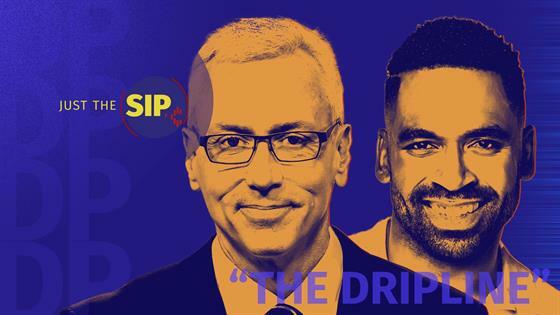 Dr. Drew Answers Relationship Questions on "The Dripline"
Dr. Drew is coming to the rescue for anyone facing a dilemma of any sort. On the latest episode of Just the Sip, the doctor and Daily Pop host Justin Sylvester are getting into the nitty gritty details of various issues both inside and outside of the bedroom. And while Dr. Drew may be known as a board-certified internist and addiction medicine specialist, he also has over 20-years of experience as the host on Loveline, so he clearly knows what he is talking about. From caller issues ranging from anger towards an ex, to sleepless nights due to mono, the beloved TV host and his sidekick Justin have the answers to peoples' urgent questions. To see for yourself check out the video above! In their last episode together, Dr. Drew and Justin delved deep into the difficulty celebs face in balancing their mental and physical health needs with their desire to use social media. While this can be a challenge to most people, some of these stars like Selena Gomez and Demi Lovato are using their platform to raise awareness about mental health, which Dr. Drew praises these stars for. To hear more of Dr. Drew's conversations with Justin Sylvester check out Just the Sip on YouTube!